Custom Saurus Tees Just $17.99! Down From $30! Shipped! You are here: Home / Great Deals / Custom Saurus Tees Just $17.99! Down From $30! Shipped! Until January 6 only! Hurry over to Jane where you can score these Custom Saurus Tees for just $17.99 down from $30 PLUS FREE shipping! Don’t Mess With Auntie! You will get Jurasskicked! 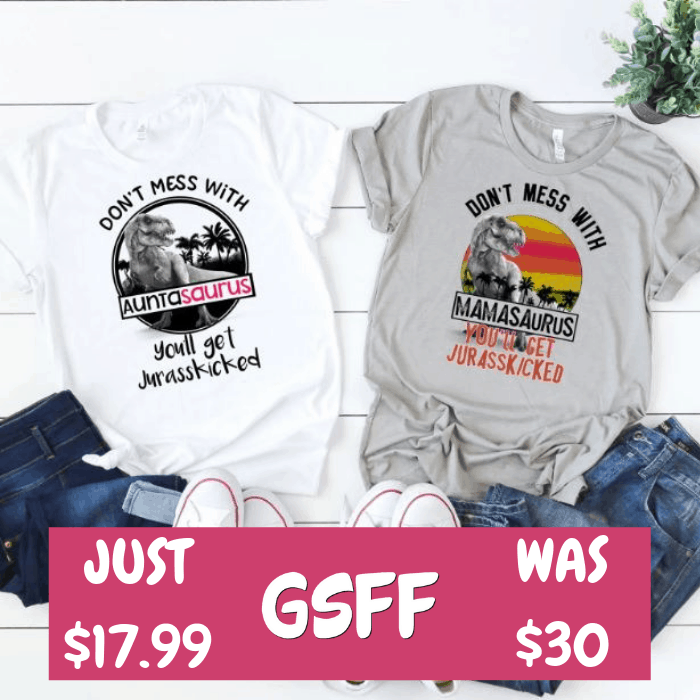 These will have people around you in gigglefits! These are printed on our highest quality, super soft tees!